When we joined Solane's Next Big Food Entrepreneur Contest, we just wanted to try it out to gain exposure for our brand. 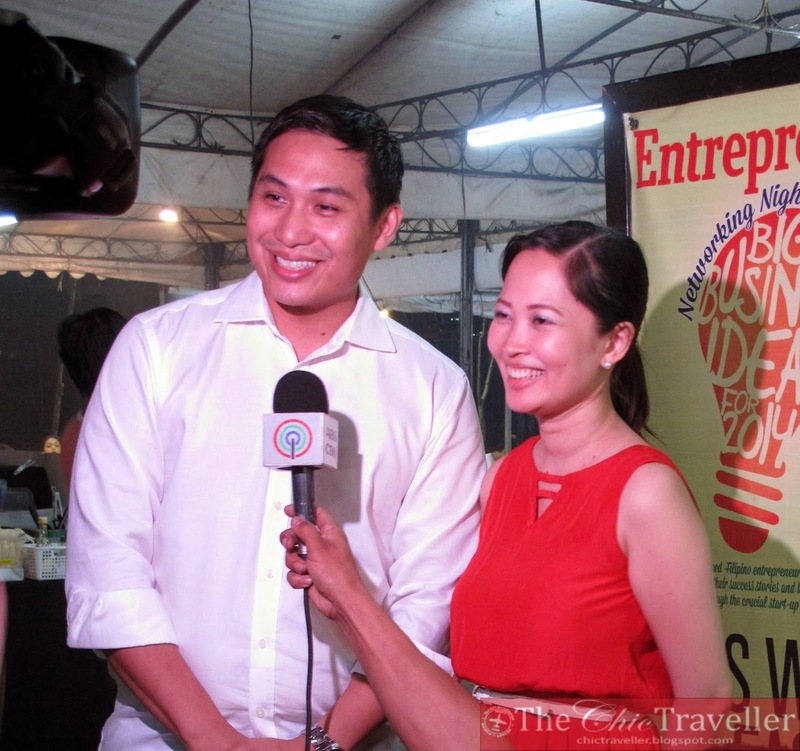 We said to ourselves, "Malay natin baka ma-feature tayo sa Entrepreneur." I saw the contest mechanics last July while reading Entrepreneur Philippines magazine and I pointed it out to my husband. He said we can give it a try and I immediately worked on our submission for the contest. We decided to feature one of our best-selling dishes, the chicken popcorn. This dish was originally meant to be a side dish for our customers because we wanted to have an on-the-go, affordable snack offering. To our surprise, our customers loved the product and it turned out to be a bestseller! The contest mechanics required that the participants offer only one dish, and we decided to offer this with a variety of dips and glazes. 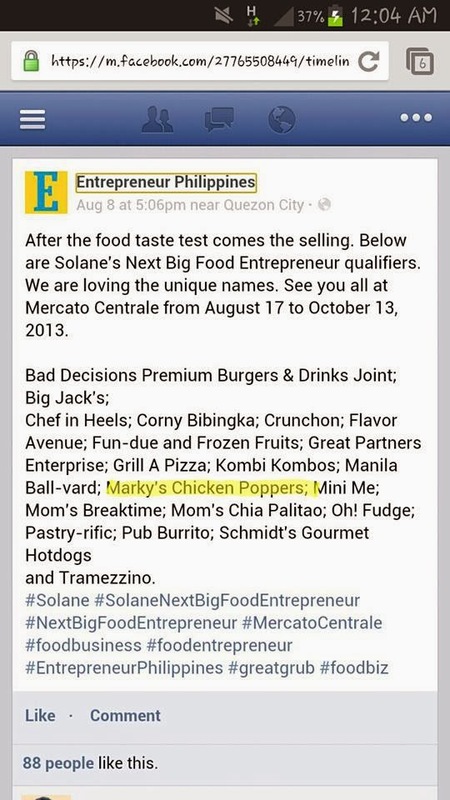 We named our entry Marky's Chicken Poppers. We developed a lot of dips and glazes at first, and offered everything on the food tasting round. From there, we narrowed it down based on the choices of the people who attended the event. Honestly, after the first round, we didn't think that we would make it through the next round because there were so many players. We just prayed and left it all to God. Imagine one day, I woke up to the news that we were in the Top 20! Shown below is the post from Entrepreneur Philippines. I also read the announcement from a GMA article here. Late pa nga ako sa balita since we weren't expecting anything. God really does wonders when He has plans for you. The second round was the selling phase. We were given free rent in the Mercato Group's markets namely Cucina Andare, Mezza Norte and Mercato. 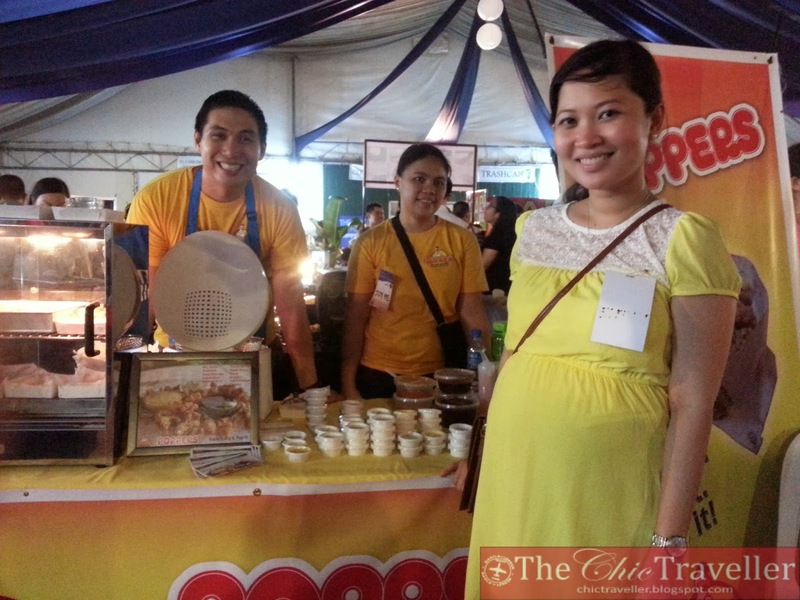 It was a challenge for us to set this up since I just gave birth back then and we lacked manpower. The rainy weather during that time was a challenge too. Still, we tried to join as much as we can. Here's a photo of our staff after setting up in Mezza Norte. Puro DIY lang ang mga designs ng tarps. Startup na startup! I hope we can afford a better graphic artist in the future. A picture with one of our first customers. It was good that we were able to get customer feedback from these events. Feedback from our customers is valuable to us since it helps us improve our products and service. Another DIY merch creation. Di pa ako marunong mag-Photoshop so improvise na lang with Microsoft Powerpoint! We trimmed down the number of glazes and dips available down to our top three of each. Fast forward to the last round, we presented to the judges our business plan for Marky's. With God's help, they were impressed and we won the Best Business Plan award! I believe God is really leading us to nurture this business. Though we are still facing start-up challenges, these reminders from God helps us push through. This is us being awarded by the Entrepreneur team, partners and sponsors at the Entrepreneur Philippines Networking Night. We got prizes and gift packs from the sponsors that night. First time to get interviewed on camera for ANC. Here's a picture of all the winners with the judges, sponsors, speakers and host. Thank You so much Lord for all the blessings! Thank You for making our dreams come true. I pray tuloy tuloy na ito! We love You Lord!